This August's edition of the 2012 New York International Gift Fair (NYIGF) brought a plethora of designs to New York City. Hailing from all over the world, several international designers, such as Bambu, caught our attention for their use of sustainable, natural materials and inclusive business models. 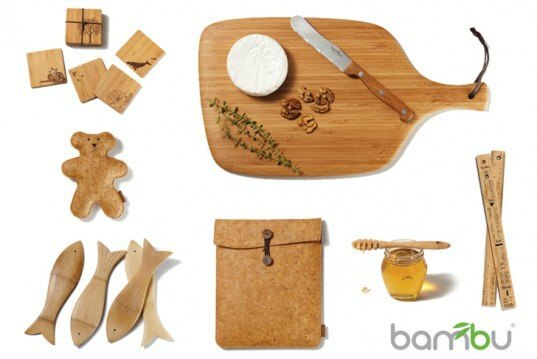 Bambu shared with Inhabitat its newest line of sustainably harvested cork products. See them ahead. Bambu is one of the leading green companies in the homewares and gift segment. The China-based company received Green America’s Gold Seal of Approval for its efforts to preserve the environment, promote healthy communities and ensure fair labor practices. All bamboo used is free of fertilizers or pesticides and only water-based, formaldehyde-free adhesives are used in the final products. While the company originally started with Certified Organic bamboo, its list of materials now extends to other natural materials such as sustainably harvested soy, coconut and cork. Bambu was particularly proud to display their new range of cork products- an iPad travel case, a Bamboo and Cork Canister Series and Cork Fabric Placemats and Coasters. Cork is a supple durable, stain and water resistant material that can even survive the washing machine. Bambu’s cork is sourced from Cork Oak trees in the Qin Ling Mountains of Northern China and is sustainably harvested every 10 to 12 years. Harvesting cork does not harm the tree and in fact, it generally improves the trees health during its 150-200 year lifespan. Cork trees play a vital role in preventing soil erosion, maintaining water resources and filtering air. Beyond sustainable materials, overall business practices are also highly valued. The small company supports Fair Trade practices, working directly with production teams and artisans in Northern Vietnam and rural China to ensure accountability, fair wages and ethical labor conditions. All partners must meet certain craftsmanship, environmental and labor standards and are regulated by outside, independent auditing firms. Bambu was just one of the over 40 producers on the SustainAbility: Design for a Better World roster, but their commitment to both eco-friendly production processes and a socially responsible business model caught our attention. Additionally, for those who buy only vegan products, Bambu’s products fall within this category as the company does not test on animals and no animal-derived ingredients are used in its products. Bambu's full line of products. Cork Fabric Placemats & Coasters by Bambu. Organic bamboo letter opener by Bambu. The iPad Travel Case is lined with unbleached cotton and accented with coconut shell buttons and a waxed cotton tie. 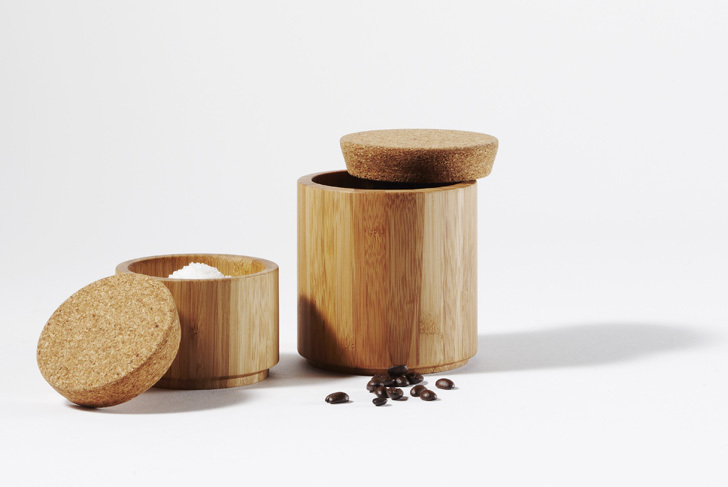 Cork fabric placement and coaster set by Bambu.